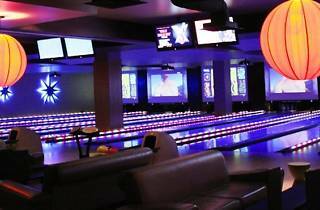 Your ninth birthday was not held at this club-alley hybrid across the street from the Staples Center. 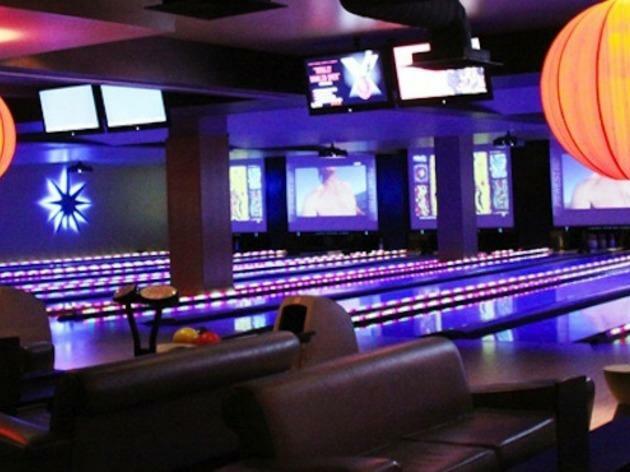 Lucky Strike's neon-lit bowling lanes and billiards tables are the centerpiece of its loungey atmosphere, complete with plasma TVs, a full-service bar and rentable rooms for your partying pleasure. Sip a handcrafted spicy margarita in between turns at the lane, while tucking into a menu that beats the stuffing out of typical arcade fare (read: short rib tacos, flatbread pizzas, Belgian fries with curry ketchup, etc). Lucky Strike's stricty enforced dress code allows the general appearance of its guests to surpass your average bowler as well. We say better suited to your twenty-ninth birthday.